If we look into Jesus’ life we can easily notice that healing was integral part of His public ministry; what is more His death on the Cross and His Resurrection not only restored our relationship with God the Father, but they show us a pattern that most of our healing in this life will take. There is often pain involved on our journey of healing, no matter how much we wish to avoid it. Sometimes just by knowing that God is with us in whatever we are going through can bring us peace, which in itself is a sign of God’s healing. In Heaven all our tears are going to be wiped away, so any healing we receive here on Earth is like an experience of Heaven. Or in other words, it is an experiences of homecoming, as we see in the Gospel story of the return of the prodigal son (Luke 15:11-32). 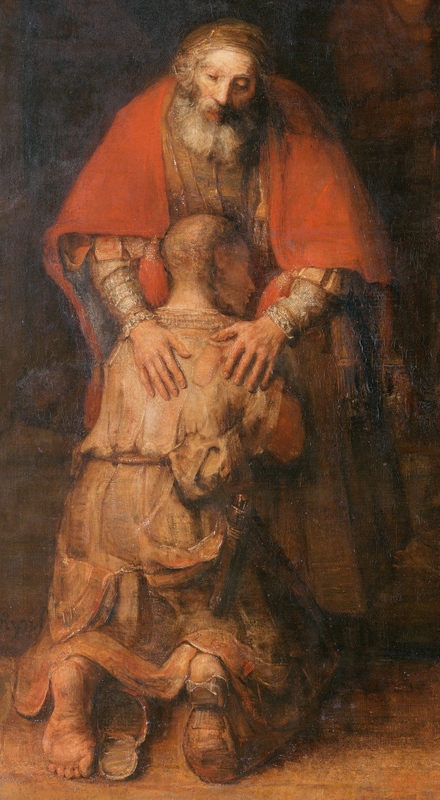 At times even though we are in a need of God’s healing and compassion, like the prodigal son we think we are not deserving of it, and yet God’s compassion is not based on merit. God’s compassion does not depend on who we are, but on who He is. God is compassionate because that is the only way He can be – it is in His nature to show compassion. God understands our humanity, our struggles and our pain much better than we do. If we listened to the parable that Luke writes about with ears of the 1st century Jews, we would notice that the father’s reaction to the return of his son is surprising. Luke tells us that he runs to the son embracing him with forgiveness, but it was very unusual for a patriarch to run as the greater one’s dignity was, the slower one moved. The father knew the son was to pass through the village and as the people considered his son being outcast, they would act according to their ways of exclusion. The son would not be welcomed. So the father runs to welcome the son. “More than any other story in the Gospel, the parable of the prodigal son expresses the [richness] of God’s compassionate love” (H. Nouwen). The son is welcomed back into his true identity. Whenever Jesus offers His compassion and healing love He invites us into a new identity, He restores us even ever so little. This experience of homecoming makes us more ‘whole’. I am sure that we could identify with different characters in the story of the prodigal son at different times of our lives, with either the younger or the older son, but in a way the goal of our Christian lives is to become compassionate like God the Father. As we allow Jesus to form us more into His likeness and as we let the compassion we received from Him to flow into our whole being, into our heart, and from our heart into our hands, we become better equipped to bless the world with God’s love and compassion. And the world today needs this blessing.